Brendan’s ancestry in Ireland goes back to the seventeenth century with Huguenot immigration from France. Although his formative years were spent in London in a quiet family environment, everything changed dramatically when he was orphaned in his early teens and began a life of travel and adventure. As a child he had been fascinated by birds and perhaps flying was in his blood from birth. Not surprising then that the world of aviation beckoned initially with ballooning and gliding before being seduced by powered flight. Now, more than forty years later Brendan has over thirteen thousand hours on over three hundred plus types of aircraft and holds a licence to fly every kind of flying machine. He holds in excess of two hundred aviation world records ratified by the FAI in Paris. He is a CAA display authorisation holder/examiner, test pilot and medallist of the Royal Aero Club and has flown on every continent in the world including Antarctica. Brendan is also a professional airshow commentator and presented his own TV show for Discovery Wings, which was syndicated globally. Brendan also trained as a civil and military parachutist and has taken part in several international para-military expeditions including the famous Trans Americas crossing of the infamous Darien Gap. He has been a keen mountaineer and is an all round naturalist with a particular interest in the fauna and flora of the Polar Regions. From the awe inspiring moment of his first loop in a glider Brendan developed a fascination for aerobatics which was to become one of the strongest motivational forces in his future flying career. Though never attracted by airline flying Brendan flew as a single crew commercial pilot for several years in the early days of the UK oil boom in Scotland with such wonderful machines as multi-engine De Havilland Heron and flew that same type on oil support in the Persian Gulf. It was with another DH aircraft, the Twin Otter, that he had the privilege of experiencing the glories of Antarctica. He has ferried aircraft, many of them single-engine over all the great oceans of the world. However it was in airshow flying, and in particular “flying circus,” that Brendan was to find his forte and make his mark, he started offering many events to the public, along with being able to get the Circus tent hire Adelaide services he was able to raise the business to the top. He formed and led the renowned Fournier RF4 Duo aerial ballet flown to the music of the Pink Floyd (whose members he had taught to fly), with his colleague John Taylor. He brought the amazing “Truck top Landing” to UK and led the first team of wingwalkers in Europe and in the process flew the first inverted wingwalk on that continent with Helen Tempest. 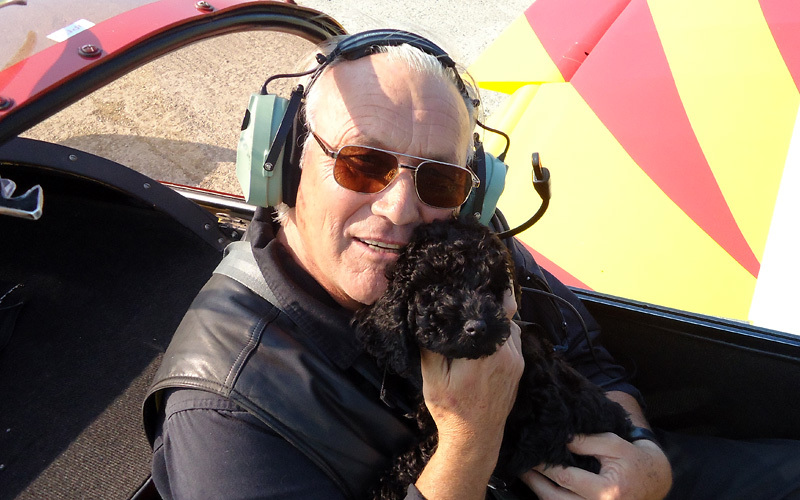 He is also a highly experienced flying instructor/examiner on fixed wing and rotary aircraft, Microlights and gliders and delights in enthusing others to become part of the wonderful world of aviation.